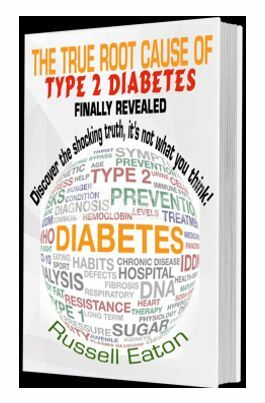 Research is now at last revealing the true root cause of diabetes and how you can avoid or halt Type 2 Diabetes once and for all. What really causes Type 2 Diabetes? Ask this question and virtually nobody seems to know the answer. The typical reply from a health professional is that the body is not able to use insulin effectively and this causes glucose to accumulate in the blood. But this does not explain exactly why this happens and how it can be prevented. Now at last we know the answer which is fully revealed in this quality ebook, with nothing held back. Unlike other diabetes books and publications, this ebook is not padded with information about the day-to-day management of diabetes, the various medications & gadgets, how to use blood sugar monitors, and so on. This type of information is readily available from diabetes organizations and on internet. Also, clinics and health centres offer free leaflets and information covering these issues and how to manage diabetes on a day-to-day basis. Instead, the book is entirely focused on the actual root cause of the disease which until recently was unknown (and along the way many myths and misinformation are busted wide open). You are urged to not undertake any kind of diabetes treatment or so-called ‘cure’ without first reading this book. Whether or not you already have diabetes or pre-diabetes, health professionals and the public in general are urged to read ‘The True Root Cause of Type 2 Diabetes Finally Revealed’. The latest research is now clearly showing a new direction for the treatment of Type 2 Diabetes based on what actually causes insulin resistance. This book makes essential reading for everybody because you will be able to take some simple and effective measures to avoid or greatly ameliorate this terrible and fully preventable disease.